Overwatch Storm Rising Ending: What Is it? ​​Overwatch Retribution is the newest game mode to join Overwatch's Archives, featuring Blackwatch agents as they ​try to escape Italy. Unlike quick play, which has a team of six players against another six players, Retribution follows the same format of Halloween Terror and Archives' first iteration, Uprising, where players participate in a ​four player PvE mode. And with Retribution's launch, Blizzard has once again proven that Overwatch needs a permanent PvE mode. Overwatch “Retribution” and “Uprising” file status: OPEN. 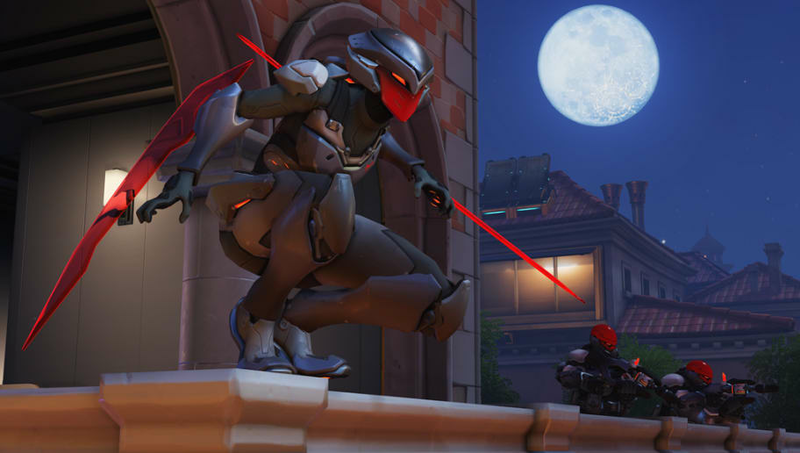 Retribution introduced the ​Rialto map which will come to Overwatch's Public Test Region later this month as a ​payload map. It's a new map, meaning there are many areas to explore, and All Heroes mode allows players to reach different parts of the map with different heroes. With a variety of levels of difficulty, players can continue to challenge themselves against the AIs. Overwatch's PvE modes are fun, fresh, and are sorely needed in a game that has two main playable game modes. Arcade is where more chaotic games of Overwatch take place, and more "structured" games are meant to be found in quick play and competitive Overwatch. The only issue is quick play can become stale quite fast, and it can also become aggravating when you have a team that either refuses to cooperate, or an enemy team is running a comp that is near difficult to break through. Competitive has its own share of problems, mainly ​surrounding toxicity. There needs to be another option in Overwatch for players who want ​original game modes. If ​mini seasons of competitive are coming to Overwatch, then why not PvE games? It's time Blizzard kept some form of a PvE mode in Overwatch that players can play even when PvE based events, like Archives and Halloween Terror, aren't around.